Rejoice, fans of Constantine we have some more information about the episode that you’ll get to see an extention of Constantine on Arrow. 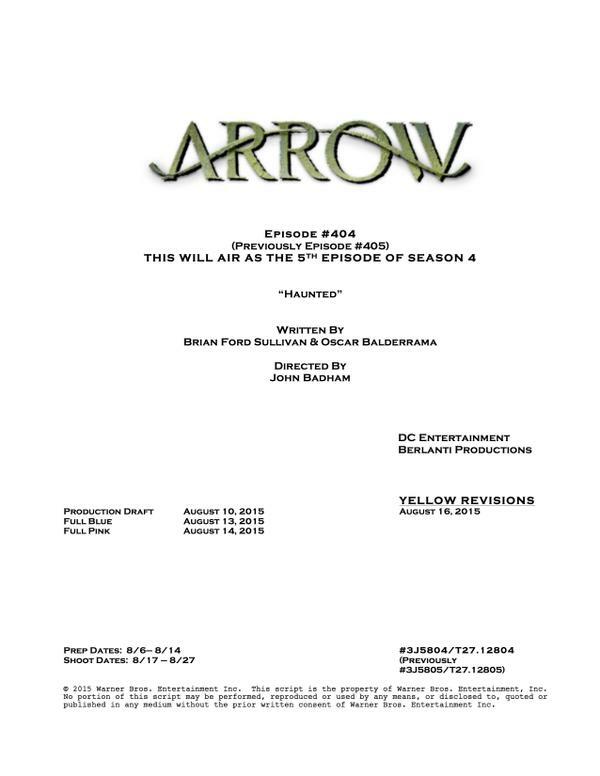 Today, the Executive Producer Marc Guggenheim has tweeted out the cover sheet for the Constantine episode, called Haunted, and we find out it was written by Brian Ford Sullivan and Oscar Balderrama, and being directed by John Badham. We’ll be keeping an eye out for more info, mostly because one of the WPR staffers just won’t let it go. *cough* Brian *cough* Who knows, Constantine might get a spin off on CW or have more appearances on Arrow in season 5!